I think we could see both religion and science as a lumberjack, delivering tree trunks as the raw material for theology, the carpenter, to make pieces of furniture with, turning a building, i.e. the world, into a house, i.e. a habitable place. The tree trunks are the results of either scientific research, like theories, data analyses, or empirical observations, or religious wisdom, like myths, rituals, stories, songs, etc. The pieces of furniture are theological books – some of which can already be found in the Bible, e.g. Paul’s letters – but also works of literature and visual arts. 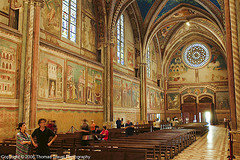 For example, I visited Assisi last spring and had the opportunity to wander through the cathedral. I was astonished by the vivid fresco’s depicting Franciscus’s life. For me, these paintings raised questions about the relation between God and humanity, about what we mean by ‘divine revelation’ or by ‘Gods will’, about how we would react today when someone like Franciscus would stand up and say that we all have to change our ways if we truly want to be Christians. That’s the kind of reflection that researchers like Ara Norenzayan seem to dismiss in their attempt to reach what they consider to be the natural state of religion, the essence of religion. But it’s also the kind of reflection that researchers like Robert Bellah see as characteristic for axial religions (on which I should write more in a later post) and it’s certainly the kind of reflection that always has been a fundamental aspect of Christianity (and other religions, of course). It’s the kind of reflection that I call theological reflection. These pieces of furniture I talked about above are part and parcel of Christian tradition, but so are the logs and tree trunks. They are always available for the carpenters, when a piece of furniture gets wore down. A chair may become uncomfortable to sit in, a table may start to wobble. Sometimes things can be fixed easily, sometimes parts must be replaced to keep the table stable, and sometimes the whole chair needs to be redone. But this fixes and even replacements are always based, at least partly, on the raw materials that the lumber jacks brought in. What I’m trying to say is that I’ve learned from reading Philip Hefner‘s work, but foremost from my doctoral advisor, prof. Lieven Boeve, that theology is never static, that a religious tradition always needs renewal, without loosing touch with its past. Because I am currently writing a paper on the Second Coming of Christ, to be presented at a conference day for teachers and pastoral workers later this year, I’m trying to figure out how to apply a ‘Heffnerian approach’ to this rather robust tree trunk. From a theological perspective, the Second Coming is obviously about the meaning of creation, about the affirmation by God that history has meaning, that all trouble, pain and suffering throughout history is not forgotten, but is, in the most profound way, taken seriously by God. It is about God’s affirmation that His creation is indeed meant to be good. But how does this relate to an evolutionary perspective, that sees no meaning in history, only largely contingent circumstances that lead to the emergence or demise of particular forms of life? How can we turn these logs into a comfortable chair? One of the chisels I’ve been using, is Heffner’s interpretation of God-talk. He argues that God-talk refers to reality ‘as it really is’, to the fundamental character of reality. This allows theology, I think, to affirm that the concept of the Second Coming is based on an awareness of reality as it really is, an awareness that has deep, evolutionary roots. This does not simply refer to an awareness of meaning, which could easily be dismissed as a psychological strategy to comfort oneself. Rather, it has to do with an awareness of humanity’s place in creation. Philip Hefner uses the metaphor of kinship, referring to the Sermon on the Mount as a source for inspiration. We are not just part of nature, we are related to the whole of nature. That implies that the history of the whole of nature, the evolutionary history of life in general, is also our history. An interesting article in that regard appeared in the December issue of Zygon. I think further reflection might suggest connections with some of Teilhard de Chardin‘s work. I hope to write more on that during the next few days! P.S. 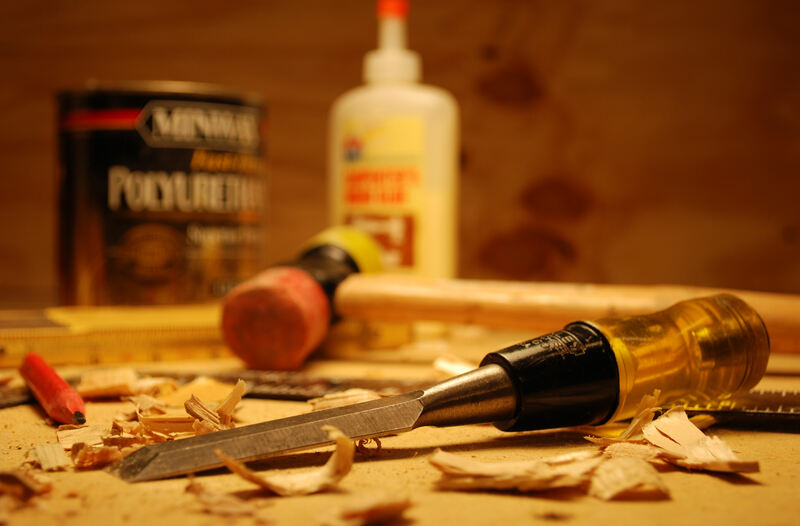 : I refer to theology as a carpenter in this post, fully aware that the same metaphor might also be applied on philosophy. But I suppose philosophy would not see religious myths and narratives as its natural ‘raw materials’ in the way theology does. Posted in adventures in research. Tagged creation, history, lieven boeve, metaphor, Philip Hefner, religion and science, teilhard de chardin, theology.